If burying your drill in things or shooting Helghast aren't your things, don't worry -- GameTrailers TV had you covered last night. Geoff Keighley and company also revealed a brand new extended trailer for Punch-Out! !, which is coming to Wii this May. Clocking in a nearly two minutes, there's quite a lot of gameplay to be seen, along with a slew of characters both new and old. But the "big news"? 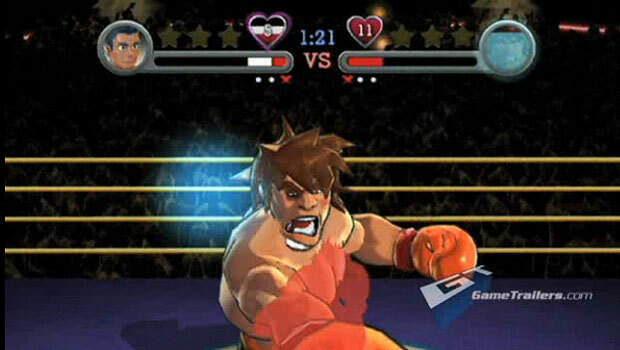 Giga Mac, a character available in the game's versus mode that once activated becomes a big, monster version of himself. Think the Incredible Hulk, only with boxing gloves. I'm not entirely sold on two-player Punch-Out! !, and Giga Mac sounds like some bizarre fish/meat combo burger I'd be able to eat at a Japanese McDonalds. But I loved how familiar Punch-Out!! felt when I played it at GDC, and I can't wait to play more of it. Check out the new trailer after the jump.